At this point, no one can turn a blind eye to the fact that Macri’s government is implementing a classic orthodox adjustment program. Nor can anyone deny that he has decided to use the alleged “heavy legacy” received from Cristina as an excuse for his economic plan. Of course, what has been happening in the first two months in office contrasts sharply with what was promised during the campaign. 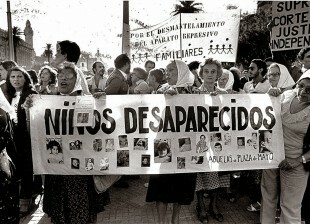 For example on 17 November in the program of Jorge Rial, he promised: “We will not devaluate, that is a lie.” Or when a newly assumed Prat-Gay, on December 12, said: “Argentina is in good condition (…) there are no emergencies (…) We have been left a complicated legacy but it cannot be compared to other times in this country”; as he denied any plans to “overwhelm” with “a series of measures”. The little detail is that Macri’s government did not receive an economy in crisis, far from it. Not that I am the one to say it –since I have a personal investment in this as former minister of economy – , but it is what absolutely each and every private consultant show. During 2015, Brazil’s economy contracted by nearly 3 percent, for instance. But for Argentina 2015 it was not a recession year. According to consulting Ferreres, the economy grew 1.7 percent, industry and investment 1.1 1 percent. For the IMF, growth was 1.5 percent. 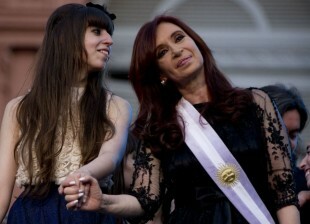 That is, the economy was not stagnant or falling, even for critics of the government of Cristina. Neither suffered an inflationary acceleration. Moreover, all private consultants recognized that inflation had been falling sharply since 2014. According to Elypsis, in the comparison January-November 2014 with the same period in 2015, inflation had fallen from 31.4 to 18.2 percent, a marked downturn of 13.2 percent. Statistics from the City of Buenos Aires showed the same, as inflation went from 33.6 percent in 2014 to 19.7 in 2015, the slowdown was 13.9 in a year. Even the Congress IPC measured 33.5 percent to 20.4, a decrease of 13.1 percent. On December 10, reserves were at 25 billion dollars, after making in October the largest payment of the decade: 5.9 billion dollars from Boden 15. 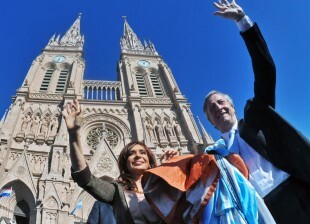 Nestor Kirchner in 2003 received 11 billion reserves and it took him 3 years to get them to 25,000. In short: no increase in unemployment or decline in activity or accelerating inflation, not drastic fall in reserves. The crisis is not seen anywhere. But Macri and his orthodox economic team were determined to apply their economic policy adjustment at all costs. One addition to this huge marketing construction: the fiscal deficit. 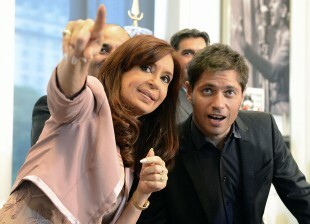 Many times in the history of Argentina there had been deficits and insolvency of the Federal Government. This leads to late – if effective at all – payment of pensions, state salaries, money to provinces. None of that was the case. By contrast, after taking office, the government of Macri began to fulfill his campaign promises “forgiving” taxes on concentrated sectors such as soy producers, or mining companies and subsidizing others, such as oil. Clearly, there were no cash flow problems. Therefore, the pressing fiscal deficit became plainly a huge lie, to justify the adjustement policy Macri would implement anyway, as recognized by Prat-Gay himself in his second press conference on January 13. For starters, the finance minister said the 2015 budget deficit, – measured by global standards – reached 2.3 percent of GDP. That level of deficit is a poor excuse for his plan, and is hardly alarming. In fact, having deficit has been the normal condition of all countries at this stage: according to the IMF, out of 188 countries only 18 had financial surplus, and 34 had primary surplus in 2015. Countries like the United States, Brazil, Spain, Japan, United Kingdom they had more deficit than Argentina. The percentage of fiscal deficit was calculated using the usual standard methodology followed by every country in the world, from the IMF Manual. But in his press conference, Prat-Gay decided to use a different methodology, of his own invention. The aim was to elevate the deficit to serve out its propaganda role. What follows is a bit technical, but easy to understand. After acknowledging 2.3 percent, Prat-Gay began a peculiar mix of addition and subtraction to conclude that – according to its own method – the deficit was 7 percent. First, he added unpaid expenses due next year, adding 1 percent of GDP. No country in the world makes this addition when calculating the deficit. Why? Because every year there are certain expenses that are paid the following year. The same happened in 2014, so if you want to “add” the costs are for next year you should at least “subtract” the payments were made in 2015 but corresponded to the previous. Otherwise, it is a real stupidity. But since the goal was to construct a high deficit, it seems stupidity was fair game. Fattened like that, the alleged deficit reached only 3.5 of GDP. More creativity was in order. So Prat Gay decided to subtract all income that the Central Bank had turned to the National Treasury. As everyone knows and as reflected in the charter of the Central Bank, the Federal Government is the sole owner of the Central Bank. The bank’s profits go to its owner, the State. It is a usual procedure, for example, on 29 January this year we learned that the Buenos Aires City Bank had turned its profits to the Government of the City of Buenos Aires. (Governed by the PRO). Well, Prat Gay decided to “discount” the state revenue to max out the deficit, which artificially became to 5.8 of GDP. Applying creative accounting, the deficit was conveniently inflated, but just quite enough. See, throughout the campaign they had repeated the magic number 7 percent to discuss deficit, they had to get to that number. Prat Gay then turned to a real finding. 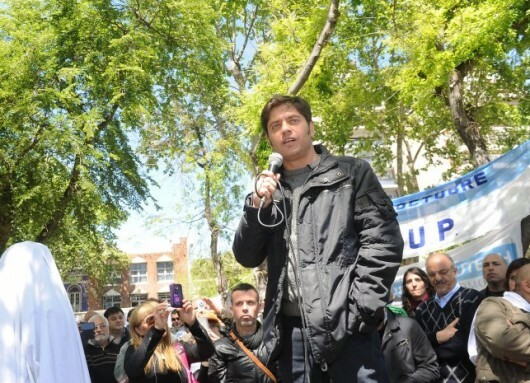 He added to the alleged deficit left by Cristina nothing less than … the campaign promises of Mauricio Macri! Literally. “On the inheritance, to be completely honest and transparent, we have to add the things we promised in campaign. You know we promised many things in the campaign and we have been fulfilling them… What is the cost of those campaign promises?. Almost one and a half points of GDP. So the starting point of inheritance, plus promises, and all the inheritance added up reaches a primary deficit of 7 percent of GDP. Of course, we must go back 40 years to find this level of deficit or imbalance, or however you want to name it”. Believe it or not. The real deficit, accepted by Prat-Gay, was 2.3 percent. But someone must have told him, “No, Alfonso, dear, we cannot recognize that number, if we had said 7 the whole campaign. Come up with something, make it happen, and get us to 7”. The result of this game of illusion is not, however, neither fantasy nor illusion. On the contrary, it is a nightmare. This entirely invented deficit is used as justification to fire people from their jobs, shrink the state, remove subsidies, modify the pension system and increase electricity rates. It is painful to confirm that what we said over and over again on the campaign is being carried out step by step. The scam of the “uncontrolled fiscal deficit” is just a poor excuse to continue cutting off rights. * Congressman (FPV), former economy minister. Absolutamente esclarecedor. Gracias, Jefa; por rodearse de personas competentes y honestas como nuestro querido y admirado Axel. ¡HLVS! 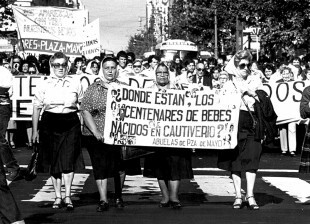 Feliz cumpleaños compañera!! nuestra lider sos vos!